On Thursday, 29 October the #CultureTrav community discussed the topic “Movies” together with special guest host Erik Scalavino. Following the chat, I collected the names of all the movies mentioned. Read on to see the list of foreign films and travel-related movies in alphabetical order. JACultureTrav Twitter Party Extravaganza and Worldwide Meetup! 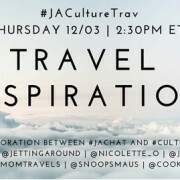 As 2015 comes to a close, #CultureTrav and #JAChat are teaming up for a #JACultureTrav Twitter party extravaganza! In honor of this special occasion and the upcoming holidays, we are celebrating on Thursday, 3 December in a variety of ways. 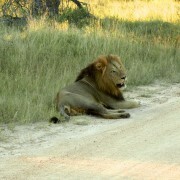 https://jessicalipowski.com/wp-content/uploads/2015/10/jaculturetrav.jpg 269 537 Jessica Lipowski https://jessicalipowski.com/wp-content/uploads/2015/08/liplogo1.png Jessica Lipowski2015-10-19 20:49:382017-04-13 16:31:52JACultureTrav Twitter Party Extravaganza and Worldwide Meetup! 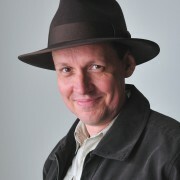 While many may already know Shane as the co-founder of #TRLT, captivating public speaker, world traveler or photographer, I wanted to take the time to share a bit more of Shane’s story. Who exactly is The Travel Camel? Without further ado, please read on to learn more about him.